This potato salad recipe is a well-seasoned combination, and the new potatoes give it a uniquely delicious flavor. It's the perfect potato salad to prepare for your big cookout, or take it to a summer potluck. Scrub the potatoes and cut into 1-inch cubes. If very small, you might want to leave them whole. Place the potatoes in a saucepan and cover with water to about an inch above the potatoes. Add 1/2 teaspoon salt. Cover and boil potatoes until tender. 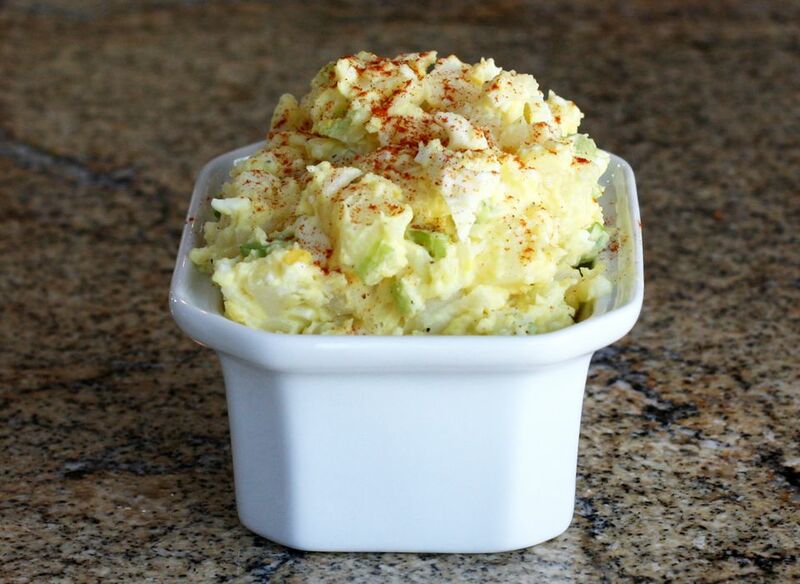 Combine potatoes with chopped egg, celery, onion, mayonnaise, mustard, sweet pickle, salt, pepper, and cayenne. Stir in a little parsley if using, then sprinkle paprika over top.